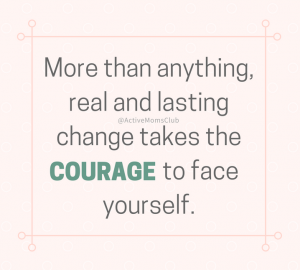 If you are like me, you are not a New Year’s resolution person, but it is natural to look at the beginning of the year as an appropriate time for assessing change. Personally, I’ve been very thoughtful over the last few weeks about my fitness goals that I will achieve in 2017 to be a better, stronger version of myself. 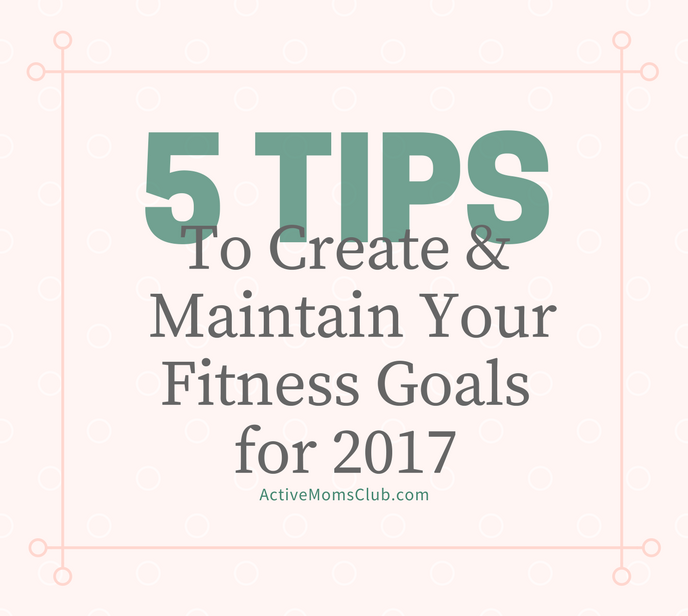 So as you think about your goals—whatever they may be, here are 5 pieces of advice to consider when it comes to creating and maintaining your fitness goals for the year. Another way to think about the “why” behind your goal is to define your stakes in it. The higher the stakes, the more likely you will persevere when you hit the inevitable stumbling blocks. Is your “why” to be able to keep up with your little ones, lead a healthy lifestyle by example? Those are pretty high, and important stakes. In any journey, you’re likely to suffer failure, setbacks, and even defeat. Your “why” (your inner or “intrinsic” motivation) is what will keep you moving forward. Instead of simply starting the year by saying, “I want to lose 15 pounds,” or, “I want to get into shape” start instead with the why. Ask yourself why you want to lose 15 pounds, why is it important to get into shape. 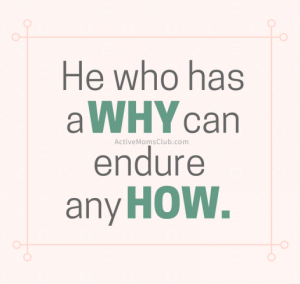 Yet another way to find your “why” is to ask yourself, “What happens if I am not successful in reaching my goal?” That answer helps you clearly establish what it is you’re fighting for. Your goal being measurable is essential. But there’s a caveat: picking the right data to measure matters. The problem with pounds on the scale is that they don’t tell the whole story and aren’t necessarily indicative of health, wellness, or fitness. In fact, it is possible to improve your body composition and/or health-related metrics without a significant change in body weight. Therefore, picking a different measurement with reliable and relatable data is important. For example, a more fitting goal for weight loss is to set a goal to fit comfortably into a specific pair of jeans, or dress. A more specific and measurable goal to ‘get into shape’ is, I’d like to be active for 20 minutes, at least four days a week. Both goals are specific and measurable. That said, this does not mean you should simply seek out things that are fun. In this context, the word fun is not synonymous with the word joy. Fun means Disneyland for some and partying with friends for others. Conversely, joy is what an athlete experiences when he or she gives a peak performance. Joy is what a dancer feels when she expresses her art and grace. Joy is the satisfaction of crossing the finish line after months of sweat equity. 1. You begin by outlining your major/long-term goal—maybe your long-term goal is to run your first 10k, half marathon, or full marathon in 2017. One of my fitness goals for 2017 is to complete two strict pull-ups in a row (or more), and do a graceful hanging leg raise where both of my toes touch the bar with straight legs. Ouch, I just wrote that down. TIP: Your goal will become more real if you write it down, and share it with others. 2. Next, DEFINE your mid-term goal—using the example above; you’re mid-term goal would be to build your running endurance and volume each month in relation to the distance and timing of your road race. Be specific as possible based on your goal. 3. Then finally, decide to support your development with a short-term goal—going out for a run 2-3 times per week will help build your running endurance for your road race. For me, I’m adding a third kettlebell training session to my week, and making a commitment to challenge myself with heavier weights so I can increase my overall stregnth. But it all starts with craft and the expression of joy. Start with one small step you can take today — like walking or stretching during the day, or substituting fruits and quality protein for your typical sugar-loaded afternoon snack. I know this is a loaded tip to recommend to a parent, especially a new parent. Try your best to get your child on a regular sleep schedule so you can put yourself on a regular sleep schedule. You don’t need to hear it from a sleep expert, you know when you’re tired you lack the self-control to eat healthy and the focus to be productive. When you are rested you are more likely to have the energy to exercise and a better likelihood to make better food choices. Try going to bed at the same time every night, or go to bed earlier than usual if you know you need to get up for a feeding. Even with 5-year old twins, my bad habit is to stay up late to get things done and inevitable I am woken during the night because someone is having a bad dream. I force myself to go to bed by 9:30pm every night. It’s not glamorous, but I know I’m more productive if I’m well-rested. Even after you define your why, establish a clearly defined goal, and meet your objective, your work is not complete. After you cross that marathon finish line or lose the 15 pounds, your job isn’t finished. In fact, it’s just beginning. The hard truth is that living at your goal takes more work than reaching it in the first place. Goals should mirror life in that they should be more like a cycle. Running a marathon could be followed by a “then what” such as competing in a triathlon, and losing 15 pounds could be supported by a plan for living at 140 pounds. Your then what plan is essentially a long-term plan for permanence and resiliency amid the ups, downs, and changes of life. Let AMC help you with your fitness goals—whether your are newly pregnant and desire to stay active during pregnancy, or are a new mom seeking a postnatal recovery plan, or an experienced mom seeking higher intensity workouts to fit back into pre-pregnancy clothes—AMC has a program for every stage of motherhood.